May has turned out to be a very busy month, on top of crazy new work computers systems and training, I have Mother's day and two big Birthdays, My hubby's Mom and Brother. The tricky thing is they happen to be a week apart so we tend to just do one gathering. I, of course make sure I do two desserts. One for the brother and one the Mom, since they have different favorites. 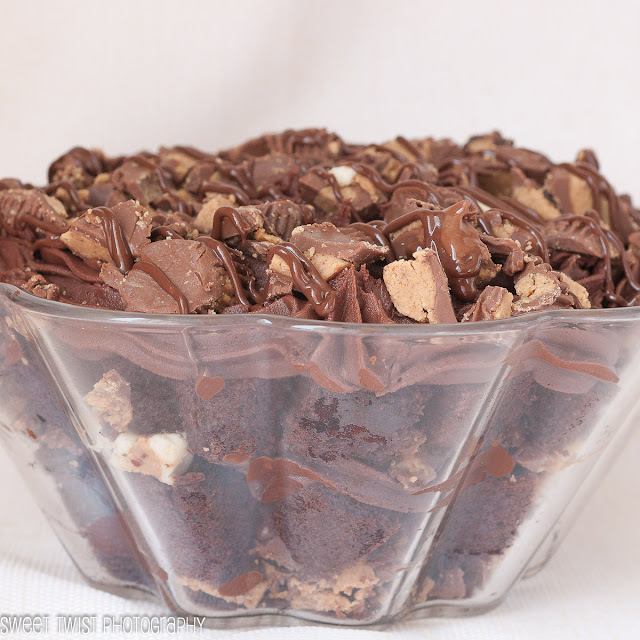 His brothers dessert has to be something peanut butter and chocolate. 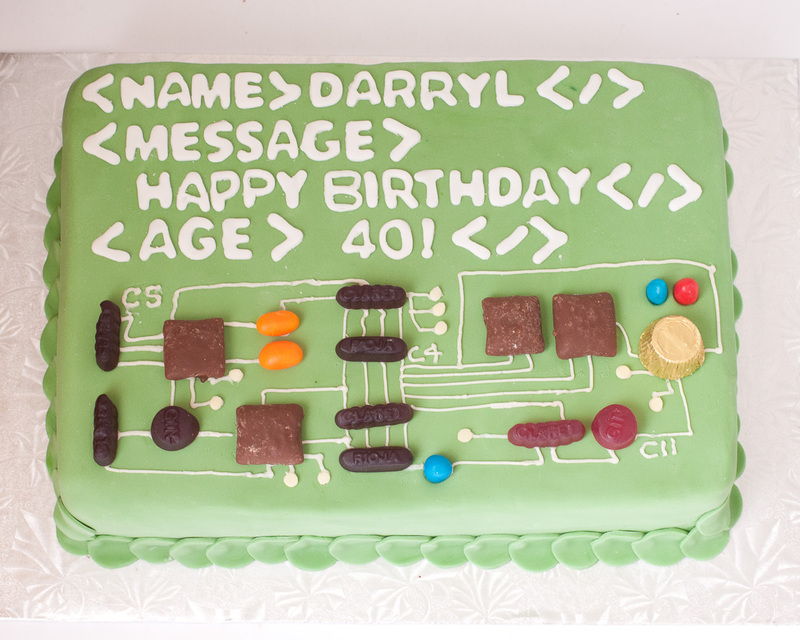 When I did the cake for his surprise party last week, I didn't make it chocolate peanut butter and I got a sad face. We decided to play it safe that weekend in case of any allergies so he got vanilla chocolate. I made up for it with a cool design. He is a web designer. 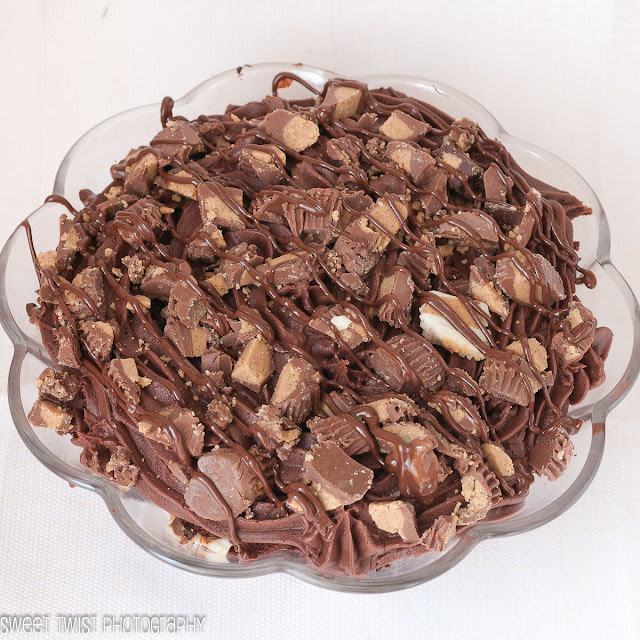 For this dessert I tried to make it completely over the top chocolate peanut butter. I think I did a pretty good job. It was a chocolate peanut butter lovers dream. 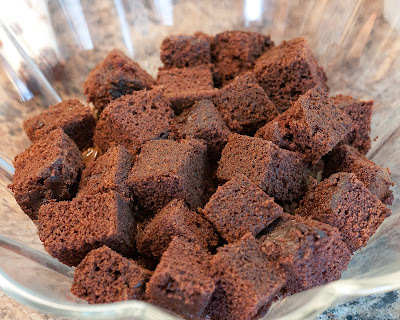 1) Cut up the cake into cubes. Set aside. 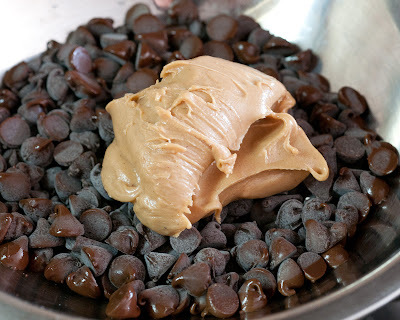 2) Cover the bottom of the bowl with a thin layer of the melted chocolate/peanut butter. 3) Place some cake cubes on top covering the full dish. 4) Place your buttercream in a piping bag and cover the cake with a swirled layer of icing. 5) Top the icing with crushed peanut butter cups. 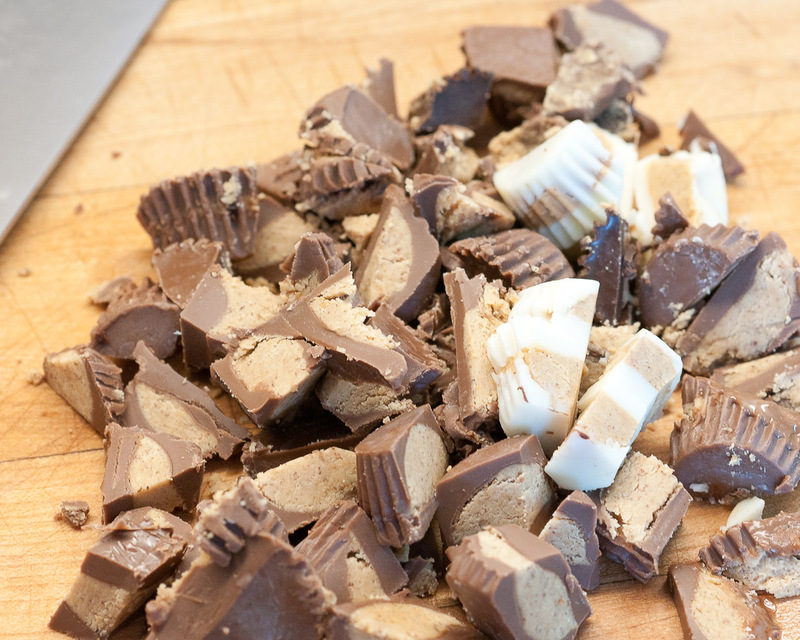 7) Repeat from step 3 as much as you can, ending with peanut butter cups and a drizzle the chocolate/peanut butter. Oh my goodness, this sure sounds decadent! just found you through bloglovin and wow that looks amazing.following you now!